Cologne – The LANXESS Rhein Chemie Additives business unit has opened a production line for Rhenoshape tire curing bladders at its Chinese production site in Qingdao. By the investment of a low single-digit million euro amount LANXESS will expand its global production capacity for these high-performance products in a first step by around 10 per cent. Rhein Chemie Additives is the only global player offering tire manufacturers bladders, release agents and tire marking inks from a single source. With its fourth bladder plant, the company is further strengthening its global production network. “It is our first Rhenoshape production line in Asia and opens up significant growth potential for us. Our customers place high value on their ability to source Rhenoshape bladders locally,” said Philipp Junge, head of Rubber Additives business at Rhein Chemie Additives. China is the world’s largest producer of tires. 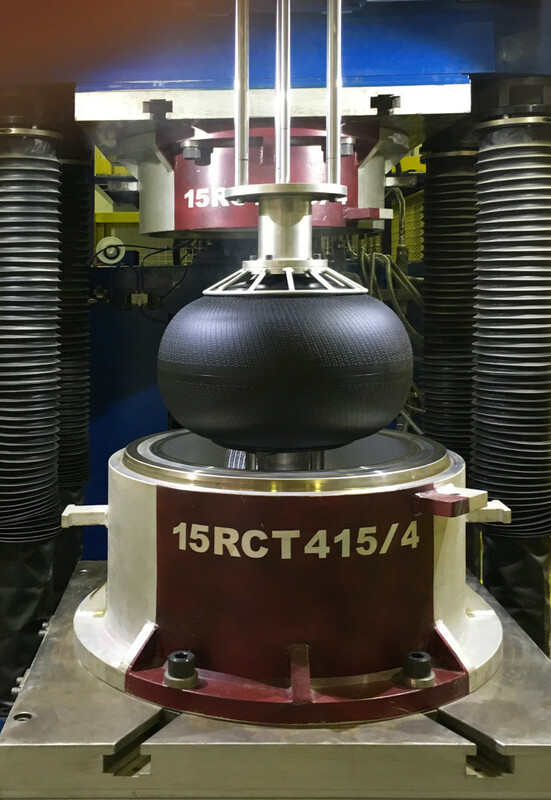 “We serve international tire manufacturers who produce their innovative tires in China and other Asian countries, such as Japan, Thailand and Malaysia,” Junge said. The new production line is equipped with state-of-the-art technology to manufacture curing bladders for lightweight commercial vehicle tires and passenger car tires. It leverages the latest findings in bladder technology and provides customers with bladders from compression and injection presses. Rhein Chemie Additives supplies the tire industry with a broad range of pre-dispersed polymer-bound additives, processing promoters, vulcanization and filler activators, anti-sun check waxes, release agents, tire marking inks and high-performance tire curing bladders.